The hunt began on Thursday for a new venue for the mixed doubles national team tournament the Hopman Cup. The event, which was based in Perth, became a fixture on the early season calendar and served as a warm-up for the first Grand Slam event of the year at the Australian Open in Melbourne. But the future of the competition was thrown into doubt in November 2018 after the Association of Tennis Professionals - which runs the men's game - unveiled the ATP Cup tournament in Australia. Sydney and Brisbane were anointed as sites for the 24 team men-only event. Perth was mooted as a third location for the 10 day tournament. Confirmation of the Perth Arena on Thursday as the final venue from January 2020 evicted the Hopman Cup. "The ATP Cup will be broadcast in every country around the world and will showcase this great city of Perth to the world." Tiley added: "The ATP Cup will launch the global tennis season for the men. This is their event, it means a lot to them and they've thrown their support behind it 100 percent," he added. The Hopman Cup was set up to honour the Australian player Harry Hopman who died in 1985 at the age of 79. After skippering his country to 16 Davis Cup titles, he became a coach in the United States where John McEnroe was one of his most eminent pupils. From its inception in 1989 until 2012, eight teams battled for the Hopman Cup at the Burswood Entertainment Complex. The hostilities moved to the Perth Arena in 2013. Paul McNamee, who founded the tournament with Hopman's widow, Lucy, told the Australian broadcaster ABC: "Nothing could've been embraced by the people of the city more than the Hopman Cup in Perth, so my immediate feeling is sadness that it's not going to be there anymore, and concern about where the Hopman Cup may be in the future." The International Tennis Federation, which organises the tournament, said it had received interest from cities around the world. "We are in discussions with potential partners to decide where and when this tournament will be next hosted," said ITF president David Haggerty. 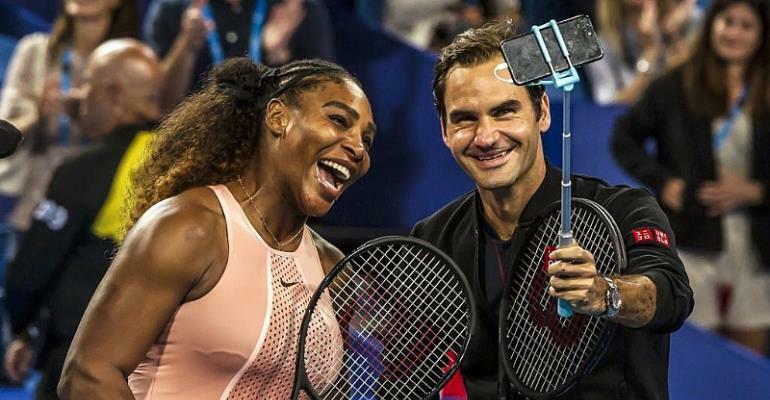 Switzerland - boasting Roger Federer and Belinda Bencic - won the 2019 Hopman Cup. During the tournament, Switzerland faced a United States team featuring Serena Williams. It was the first time the pair had ever played against each other.